This dog loves GIVING kisses to be sure. But when the tables are turned, hilarity ensues. 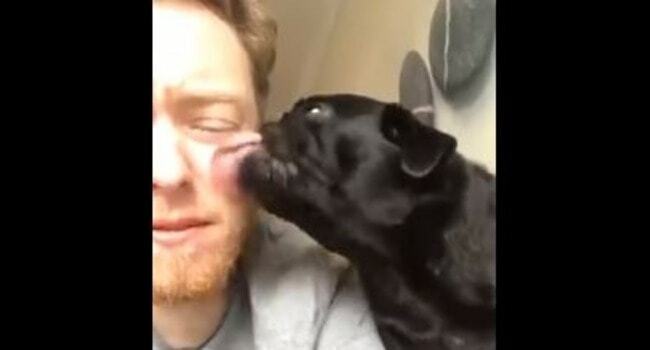 This little, black pug sure love GIVING kissing. So, how does he feel about getting them?